Smartron is now preparing for the new bang. 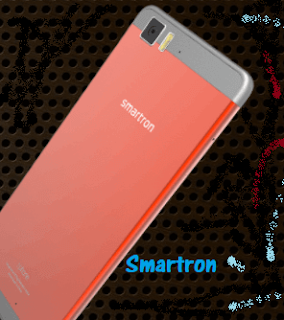 The company will soon launch a new budget smartphone with a powerful battery of 5000mAH. The phone will cost Rs.10,000, and the phone will get 32GB of inbuilt storage which can be extended to 128GB. According to the report, this phone can be launched on January 15. The phone will be sold exclusively by Flipkart. Let us know that earlier this year, the company had launched SRT Smartphone with Sachin Tendulkar's signature last year. The phone has a 5.5-inch full HD display, 1.8 GHz Qualcomm Octa core Snapdragon 652 processor, 4GB RAM and 64GB of storage. The Adreno 540 GPU has been given for graphics. The phone has a 13-megapixel rear camera and a 5-megapixel front camera. The 3000mAh power battery is provided in the phone, which has 2.0 fast charging support. The phone has Android Nougat. Talking about connectivity, it has 4G VoLTE and LTE support. The Dual SIM device supports fast fingerprint sensor, which the company claims that the phone unlocks in just 0.09 seconds. The 64GB variant phone is available at Flipkart for Rs 8,999.